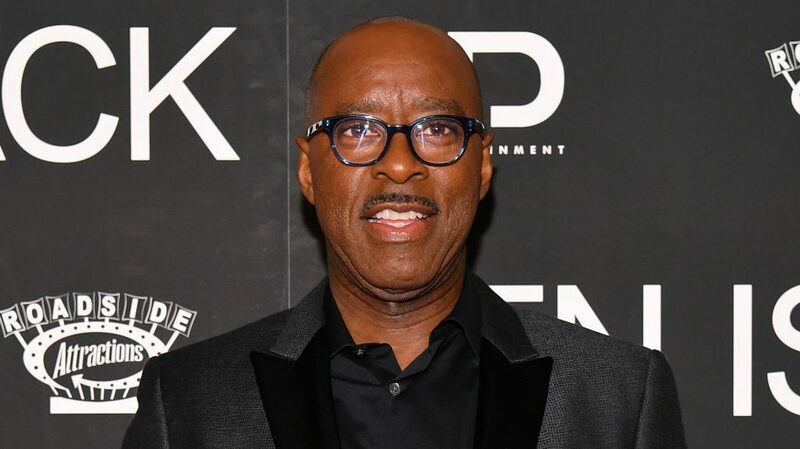 Courtney B. Vance has been a Hollywood icon for years, nabbing awards for his numerous film and television roles and constantly serves up #relationshipgoals with his wife, Angela Bassett. While it’s never surprising to see his name on the short list for acting accolades, he’s a prime contender for thematic industry’s biggest honor, a Grammy. Courtney B. Vance is nominated for Best Spoken Word Album for reading Neil deGrasse Tyson and Avis Lang‘s book, Accessory to War: The Unspoken Alliance Between Astrophysics and the Military and we caught up with him to find out how he tackled the 600-page book and put himself on the road to an EGOT. We all know that in order for an actor to get a Grammy you got to read a book so once I discovered that I thought, ‘Oh, I need to read someone’s audio book. When this was presented to me when I got back from Angela’s doctoral celebration at Yale I said ‘Oh wow, this is what I was asking for. But its Tyson and it’s 600 pages and it’s complex thoughts and processes,” he told TheGrio during an exclusive interview. Vance is well on his way to achieving EGOT status. He already has a Tony and an Emmy under his belt and an Academy Award is certainly a feasible possibility. The actor admits tackling Tyson’s work was no easy task but he went in with his sights set on earning himself a Grammy nomination. “His mind is huge and the book is huge and I said if I’m gonna navigate this man’s monstrously huge mind and do this 600-page atone, the book company needs to make sure that they nominate me for a Grammy otherwise I don’t need to do it,” he explains. While reading a book into a microphone may sound easy enough, it turns out that the task at hand was a lot more complicated than that. Fortunately for Courtney B. Vance, he has spent most of his life listening to audiobooks. Vance has some competition from some pretty big names including Questlove and Tiffany Haddish who are both nominated in the same category. There’s also some controversy to contend with. The book’s author, Neil deGrasse Tyson has been accused of sexual misconduct by three women. According to the Los Angeles Times, production on his National Geographic series StarTalk has been halted while an investigation is carried out and Tyson vehemently denied all three allegations in a lengthy Facebook post entitled On Being Accused.